which have battered the small Indian manufacturers. India’s total solar panel and cell size is around 2 GW, while the Yingli Green Energy (YGE) has a size of 3 GW. The massive overcapacity in the global solar panel industry has led to numerous bankruptcies as panel ASPs have gone below the costs of manufacturing a solar panel. First Solar (FSLR) too has been hurt badly with its stock price now almost 90% off from its peak value reached in 2000-2008. The company found a good market in India thanks to a huge loophole in India’s national subsidy program JNNSM which did not restrict domestic content requirements for thin film solar panels. This allowed First Solar to capture almost 60% of the market in 2011 as Chinese manufacturers could not sell under this program. Read about First Solar’s Solar Panel reviews. Now India’s JNNSM is implementing its 2nd phase under which India’s government is trying to close down the loopholes. Under a totally free market, the US manufacturers would not be able to sell a single solar panel, but that has not stopped the SEIA (Solar Energy Industry Association) from crying against India’s industrial policy. The association is criticising India’s subsidy policy under which 75% of the capacity allocation will have domestic content restrictions. It fears that First Solar will be hurt if thin film solar panel are brought under this policy. 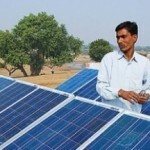 USA has already filed a case with WTO against India, despite India’s solar manufacturing industry being on life support. SEIA and First Solar do not have a strong case as free market will shut out US thin film players. First Solar panel costs are more than 60 watts/cent compared to 50-55 cents/watt for low cost Chinese companies. First Solar panels also suffer from a big efficiency disadvantage. Read on GWI Solar Panels Manufacturers in USA. First Solar and other US solar manufacturers can only compete in the solar system and development business. They would not be able to sell their solar panels at a profit anywhere. It is to be noted that a number of US NGO’s and green organizations have supported the domestic content policy of India’s solar mission. India is in a massive problem as it imports billions of dollars in electronics, gold and oil. It desperately needs industries to meet local needs. India can be competitive in the solar panel manufacturing as the country has low labor costs and adequate domestic demand. It also has strong companies which can compete if they are able to compete fairly with foreign companies. I remain negative on First Solar stock given that its DOE funded projects will mostly finish in 2014. Its solar panel business using thin film technology is not economically competitive and its valuation remains much higher compared to the Chinese solar peers. The company raised a significant amount of money through a secondary stock offer which will strengthen its balance sheet. However, its solar system business cannot justify its current valuation in my view. Testifying before a Congressional committee, Solar Energy Industry Association Vice-President John Smirnow alleged that India’s local content requirement “discriminates against US solar exports and, thereby, provides an unfair competitive advantage to India’s domestic solar manufacturers’’.However, India’s growing use of an industrial policy discriminates against US solar exports, thereby providing an unfair competitive advantage to India’s domestic solar manufacturers, Smirnow had said yesterday during the Congressional hearing on ‘A Tangle of Trade Barriers: How India’s Industrial Policy is Hurting US Companies’ convened by the Commerce, Manufacturing, and Trade Subcommittee of the House Energy and Commerce Committee. 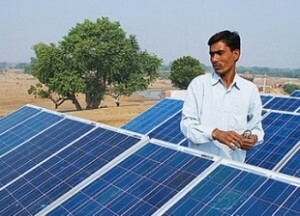 “The US-India dispute follows on the heels of a recent WTO finding that Ontario, Canada’s local content requirement for solar goods, substantially similar to India’s, violated Canada’s WTO obligations. In response, Canada has indicated that the solar programme will be brought into compliance with the WTO decision, which we presume means that Canada will remove the local content provision,” he said.